The Subaru Forester is a lovely compact SUV that you may want to try if you are the traveling type. It's highly affordable, and it has a sporty appeal that you may greatly enjoy. The model has received a lot of recognition for its value and its image. You've picked a great time to consider buying a 2017 Subaru Forester from Briggs Subaru because many Subaru Forester specials are floating about at this time. The following is a breakdown of the many positive aspects that you will find if you grab one of these vehicles today. 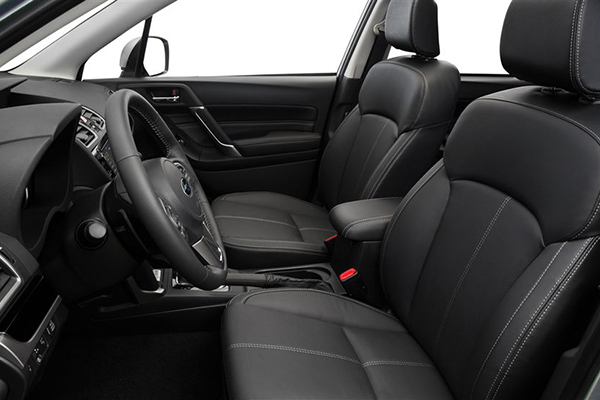 One of the reasons that you will want to contact the Topeka Subaru dealer and ask about a test drive is the gorgeous and accommodating interior that it has. The Forester's inside has features such as power windows and doors, comfortable cloth seating, 60/40 folding rear seat that splits, cargo tray, remote fold-down levers and more. This SUV is all about space and luxury. The touring version has gorgeous leather seats that you can enjoy. Those are only a few of the cool features that this model has. Many more exist and you will be able to explore them during your test drive. The exterior of the Forester is stunning all the way. First, it stands out from the rest of the models in its class because of the sports accessories like the spoiler and the rack. You will also be overwhelmed with joy when it comes to gazing at the moon. You have access to a moonroof, signature lighting and huge, glistening rims. Color options include spectacular choices like Crystal Black Silicia, Crystal White Pearl, Venetian Red Pearl, Sephia Bronze Metallic, Ice Silver Metallic and more. Test drive the 2017 Subaru Forester today so that you can experience what it feels like to sit in such an amazing vehicle. Subaru Forester specials will be abundant and available to you after you take your Forester test drives in Topeka Kansas. One of the reasons that you should go on a practice drive is so that you can have first-hand knowledge of the power that this model holds. The motor that it comes with is a 2.0-Liter Subaru Boxer Engine. The engine is capable of putting out a massive 250 horsepower, which means that you will never have a sluggish journey. The fuel efficiency that this motor offers is above average. You will be able to save a lot of money on trips because you will be able to get up to 32 miles per gallon on the highway. That's almost as much as one of the compact vehicles give you. With the Forester, you get the efficiency of a small vehicle, the space of a full-sized SUV and the technology of a powerhouse. All of these amazing features are wrapped up into one option that has seen its fair share of awards and recognition. The Forester is recognized by several sources for its amazing value and its affordability. According to ALG, this model can hold its value better than any other vehicle in the same class. That's important to know for your resale purposes. 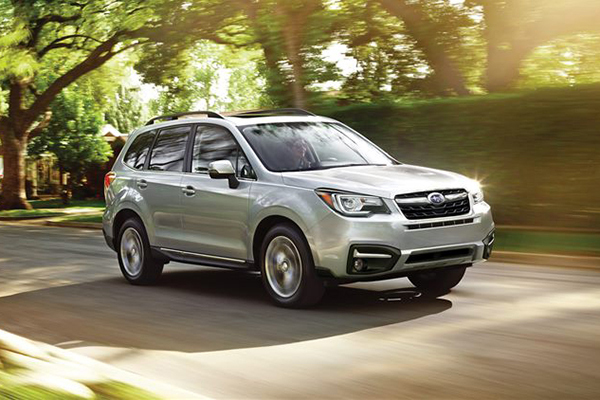 Schedule Forester test drives in Topeka Kansas and get access to all the Subaru Forester specials. 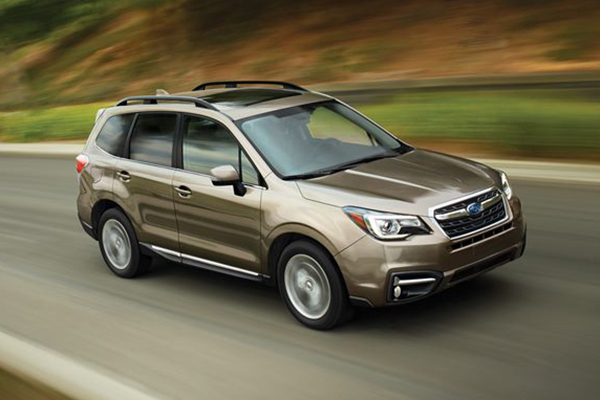 You can keep your mind at ease during your Forester test drives in Topeka Kansas and your everyday rides once you purchase this model because of the safety features that it offers. You'll have access to features like Blind Spot Detection, Rear Vision Camera, High Beam Assist, Vehicle Dynamics Control, Rear Cross Traffic Alert, Steering Responsive Headlights, Eyesight Driver Assist and more. All of these features will alert you to the presence of dangers, and some of them will help to steer you away from such dangers. Furthermore, the Forester is reasonably priced for all the features that it offers people who buy it. It is a good option for college students or people who are on a strict budget. One of the last steps in the process of bringing home a vehicle that you desire is partaking in a test drive. The test drive lasts about 30 minutes or less, and it allows you to explore the vehicle that you are thinking about buying so that you know if it's a true fit for you. Briggs Subaru will allow you to test drive the 2017 Subaru Forester if you express interest in it. You will be able to see how comfortable it is, and then you will be able to decide if the seat is right for your back and bottom, if the features and accommodations are the ones that you need, and if the vehicle has the level of power that you wanted it to have. If you find that it is the vehicle that you desire, the next step is getting your contract situation straightened out with the finance department. Make sure you bring everything that you need to the meeting that you will have with the finance department at the Topeka Subaru dealer. Bring your pay stubs, identification, and a nice down payment so that you can have your absolute pick of the litter from the Topeka Subaru dealer. Call today to get started.